Hello, Guys are you seeking for the TSIPARD Vacancy 2018? So we have great news for all those contenders who want to build their career bright in the latest government job in Telangana State Institute of Rural Development. Here, we are going share all the information related to the TSIPARD Assistant Manager Recruitment 2018 in the following sections of this post. 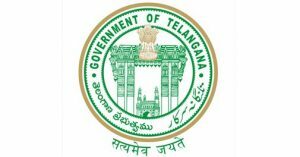 This is the golden chance for those aspirants who want to do a job in Telangana State Institute of Rural Development then they must a look on this given post and collect all the relevant details from here & then apply online for this vacancy from the official website of the Telangana State Institute of Rural Development that is www.tsipard.gov.in. Moreover details, aspirants can bookmark our careerjobs360 official web page & get all the latest news from here. Telangana State Institute of Rural Development has recently released the employment notification for TSIPARD Vacancy 2018 for filling up 141 no. of Posts of Manager and Assistant Manager in the department. The Telangana State Institute of Rural Development is seeking for the eligible and hardworking competitors for various vacant posts in the Department. Job Hunters who are searching for the latest government job in Telangana State then they don’t miss this opportunity for TSIPARD Manager Recruitment 2018 from the official website of the department. Eligible and skilled aspirants may fill the online application form on or before the closing date which is 30th June 2018 by the department. Therefore, other details regarding the TSIPARD Assistant Manager Jobs 2018 such as Academic Qualification, Age Limit, Age Relaxation, Key Dates, Application Procedure, Application Charges, Selection Process, and the how to apply is provided below in the post. Here, we provide all the details regarding the TSIPARD Recruitment 2018. You can check all the eligibility needs before applying for the given vacancy from here. If you are eligible then you may fill the application form submit the application form on or before the closing date that is 30th June 2018. For Manager Post: The minimum age limit for the contenders is 28 years and the maximum age limit for the contenders is 35 years. The relaxation in age 3 years in case of BCs and 5 years in case of SCs/STs/PHCs. Age shall be between 25-40 years as on 31st March 2018. Selection Procedure: The candidate will be selected on the basis of their performance in the written exam and Personal Interview which is going to be conducted by Telangana State Institute of Rural Development. How to Apply Online for the TSIPARD Assistant Manager Recruitment 2018?